Coconut oil is rich in vitamins K, E and iron, and secondly, it contains natural antibacterial compounds, such as lauric acid. 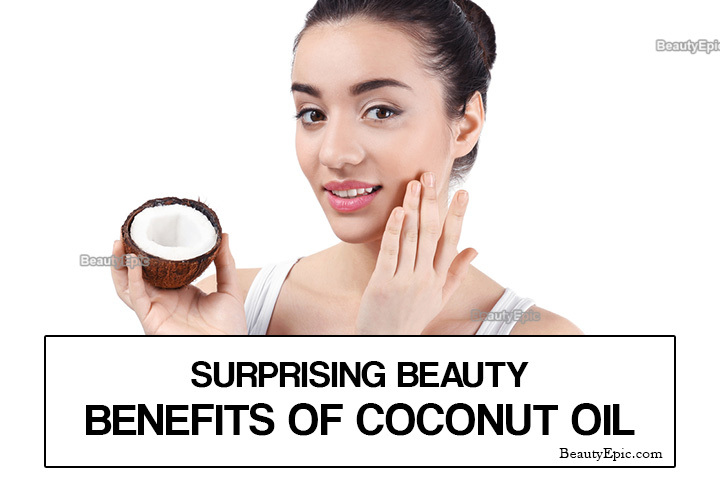 Coconut oil works wonders for health and beauty! It has beneficial properties for our health. The most famous among them is its ability to speed up the metabolism, and it also regulates the level of cholesterol in the blood and reduces its harmful effects on the body, preventing the development of diseases such as diabetes. Also, coconut oil allows you to care for your face and body. 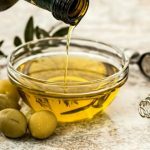 Try these eight tricks using this excellent oil. Coconut oil is part of a vast number of shampoos and hair treatment products. It is one of the main active ingredients. Other beneficial properties of coconut oil are intense moisturizing, Anti-dandruff and Maintain healthy scalp. Cover your head with a shower cap and let sit for about a couple of hours. Finally, rinse the hair with water. Due to a large amount of nutrients, moisturizing properties, and pleasant aroma, coconut oil will be an excellent choice for cracked lips. Mix coconut oil (pre-heated slightly) with sugar and then add some honey. Repetitions: Do this remedy daily for soft and smooth lips. Coconut oil has antibacterial and anti-fungal properties. It makes it an ideal way to fight off oral bacteria and remove plaque. Here’s a trick that will help you maintain the natural whiteness of your teeth and combat bad breath. It will also help the health of your gums. Take one tablespoon of coconut oil and use it to clean your teeth instead of regular toothpaste. Apply it to your toothbrush and brush as you always do and rinse your mouth with water. Coconut oil is ideal for this purpose. 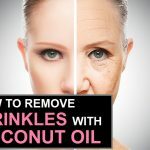 It effectively removes makeup, and Coconut oil helps your skin will be clean and smooth. Dip a cotton swab in oil and gently wash the makeup off from your face. In the case of eyelashes, coconut oil will also moisturize them well and will promote their growth. You can also use coconut oil as a body lotion. Due to the high content of antioxidants, it will help you slow down the aging process of the skin, fight free radicals and deal with problems such as acne and eczema. If you apply coconut oil to your skin after taking a hot shower, it will better penetrate deep and allow you to retain moisture longer. It will soothe the existing irritations and make the skin soft and smooth. Tip: You can add a small amount of coconut oil to your favorite cream. Coconut oil can apply to the cuticle, and it will strengthen the nails. Using coconut oil as a shaving cream, you moisturize your skin and avoid the irritation that often comes from razor bumps. You need to put one tablespoon of coconut oil on the area of skin that you want to shave. It will reduce friction and make the hair softer. Moisturizing properties of coconut oil can also use as a body scrub in combination with other ingredients. 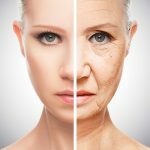 So your skin will well-hydrated and look young and fresh. You can do this procedure once a week. Antibacterial and anti-fungal properties of coconut oil will protect your feet from many diseases. Also, it is an excellent remedy for dry and cracked skin on the heels. If you apply coconut oil on the skin between your toes, you can cure athlete’s foot. It is quite useful and a natural remedy. Applying coconut oil on the skin of the feet at least once a week. 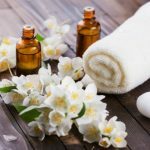 As you can see the properties of coconut oil are universal, it can become your one of the best oil for face and body care. So be sure to try to include it in your daily beauty treatments.